The Projetex Server's performance is dropping over time. What should I do? Please try launching the System Administrator utility, then stopping and starting the server. If the problem persists, try rebooting the server machine. 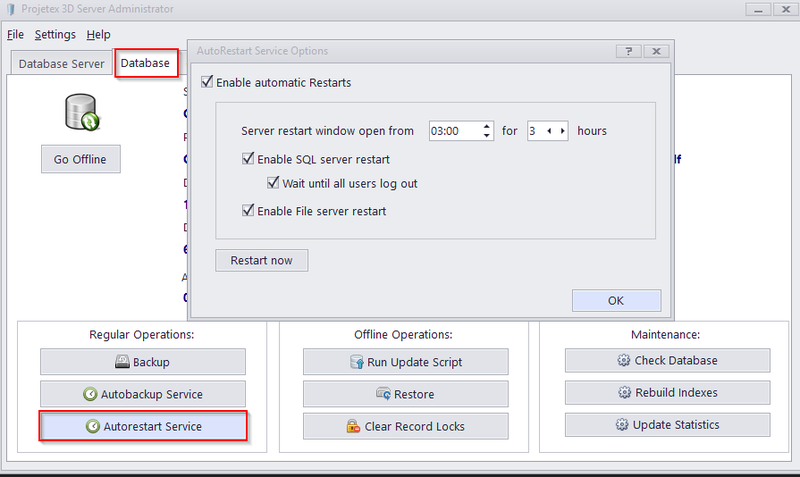 If the server machine is active 24/7, it is recommended to use the built-in "Autorestart" service for a nightly restart of the Projetex server component. Scheduling a weekly reboot of the entire machine is also a good idea.